Joining the zero-emissions vehicle trend, Mercedes-Benz owned small vehicle builder smart has prepared their first customer available fortwo microcar. 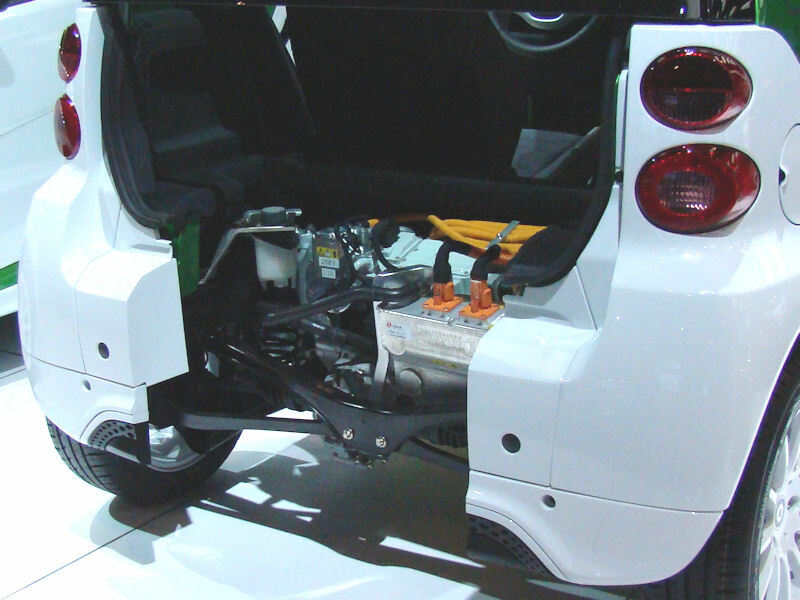 After a Three-Phase process that involved testing the electric powertrain around the world, customer orders for the smart fortwo electric drive is now being taken in many markets including Canada. While the nearly 8-year presence of the smart brand in Canada is greeted with mixed interests depending on individual motoring tastes, the fortwo electric drive versions of the small two-seat vehicle is priced very attractively. For the smart fortwo electric drive coupe, Canadian buyers will be paying $26,990. About $12,000 the starting price of the gasoline-burning fortwo coupe, smart's electric drive is currently the most reasonable priced fully street legal electric vehicle. For an open-air electric drive, a cabriolet variant of the vehicle is being sold at $29,990. 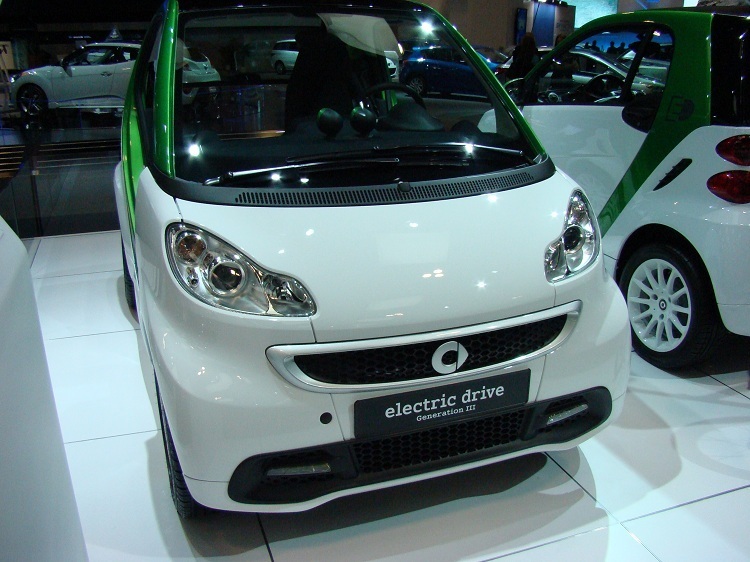 A 2013 model, the smart fortwo range will expand with the available of zero-emission electric versions of the recognized mircocar. Receiving power from a 55-watt motor, the smart fortwo electric drive will achieve a top traveling range of 145 kilometers (equating to about 90 miles). Top speed of the fortwo electric drive car is rated at 120 kilometers per hour allowing it to run on major highways. When the first cars will be delivered to Canadians in spring of next year, the 2013 smart fortwo electric drive will sport a freshened exterior complete with a larger grille and high-efficiency LED lighting. Standard features owners can expect to find in their electric-powered smart fortwo includes air conditioning, heated seats and electronically-adjustable heated exterior mirrors. 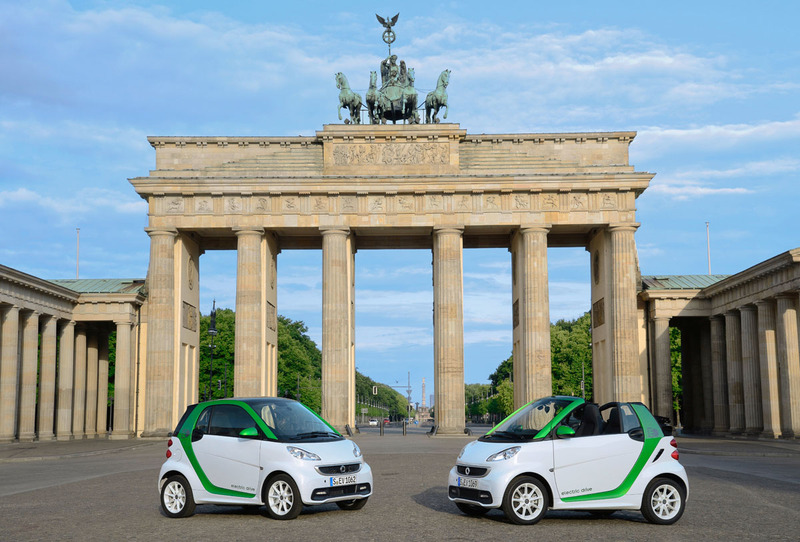 The smart fortwo electric drive range will join the Smart ebike that is scheduled for a mid-July launch. Retailing at $3,240 in Canada, the two-wheeled ebike represents the Smart brand's technology in one of the most efficient, lightweight vehicles for urban transportation. The anticipated new product line for smart will go a long way to increasingly cater to the enivronmentally-minded motorists who had fallen in love with the current gasoline-misting fortwo. Responding to their upcoming vehicle, Tim A. Reuss, President and CEO of Mercedes-Benz Canada said, "The new smart fortwo electric drive has garnered significant attention since its official debut earlier this year, and I am extremely pleased that the pre-ordering program we introduced has generated a lot of excitement at our dealerships in anticipation of next year's official launch."